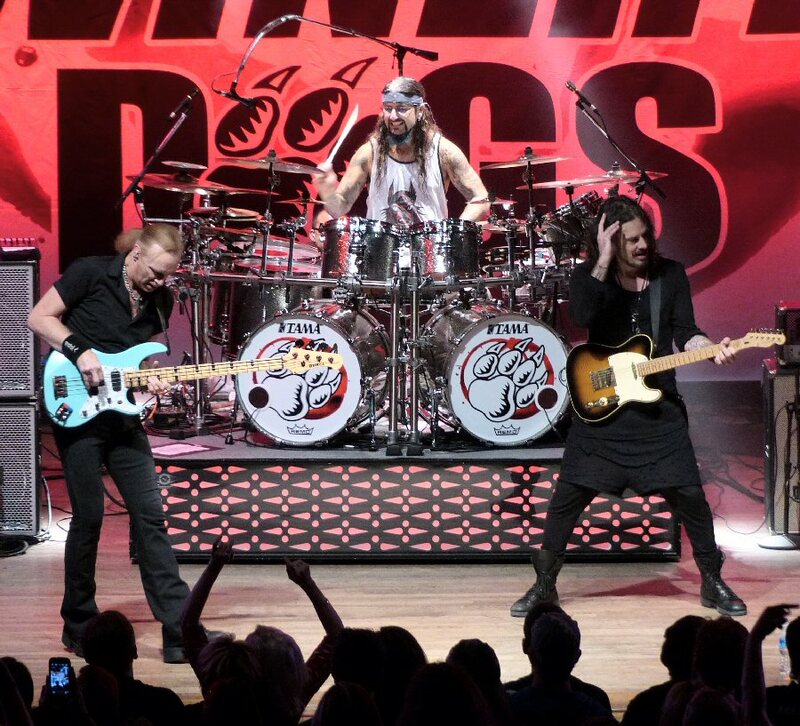 The Winery Dogs the alpha-male-power-trio raised the bar at the Wildhorse Saloon in Nashville, Tennessee on October 20, 2015. 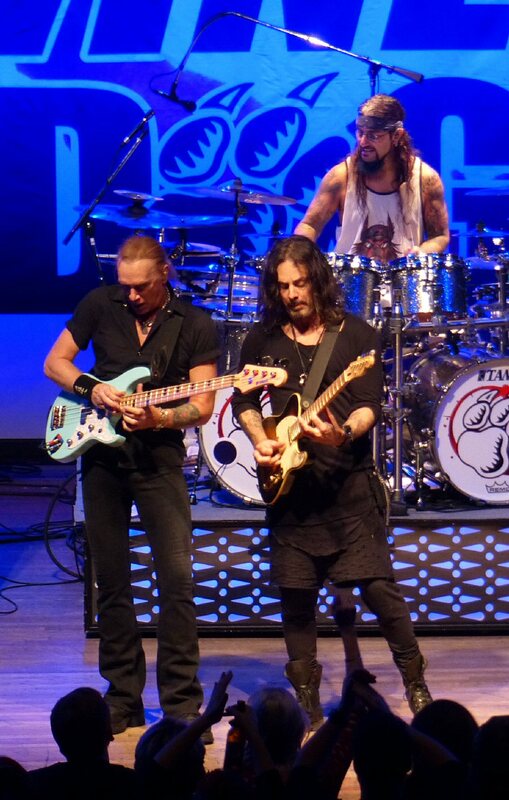 The Winery Dogs are Richie Kotzen (guitars/keys/lead singer), Mike Portnoy (drums/vox) and Billy Sheehan (bass/vox). Each are top Dog of their instruments yet as a pack they are even more potent. The Winery Dogs are on a Hot Streak with their stellar sophomore release. 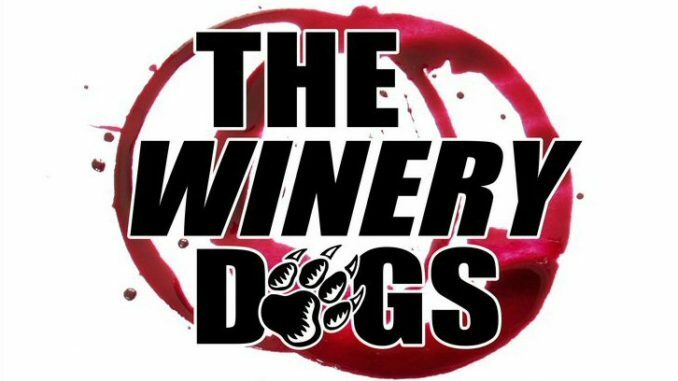 The Winery Dogs will be on the run in support of the album through February 2016 – so catch them if you can. These three hot dogs were smokin’ in Nashville. Their set-up in Nashville was straight forward with gear and a big banner behind the band. Two large screens on the side of the sizable stage were used for close-ups and the extensive lighting system at the Wildhorse Saloon was utilized to add color to this high-caliber show. The Winery Dogs came out chomping at the bit with an opulent “Oblivion” a tune loaded with frenzied riffs and rhythms. Portnoy gave a shout out to Nashville as they cantered into a captivating “Captain Love” and “We Are One” with its beguiling bass lines. Richie Kotzen surveys the large crowd gathered at the Wildhorse Saloon. The title track “Hot Streak” from the new album was catchy and full of complex changes in many ways a signature song for The Winery Dogs. What makes this band so good is that all three are polished pros who bring plenty of innovations to the music but they are also penning songs that have potential arena rock appeal. 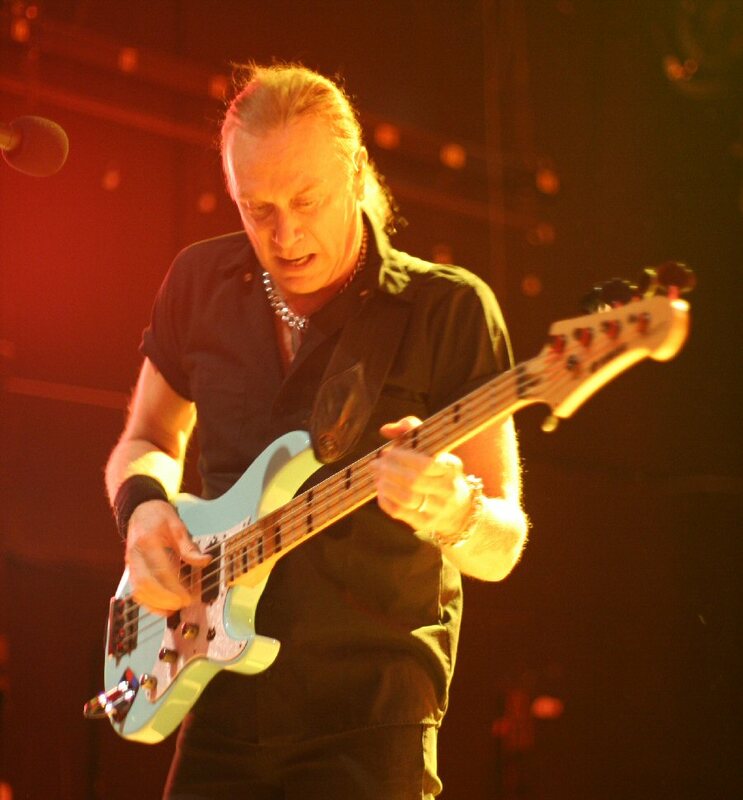 Billy Sheehan approaches the bass like no other crafting an unworldly low-end. Mike Portnoy has won countless drumming awards. 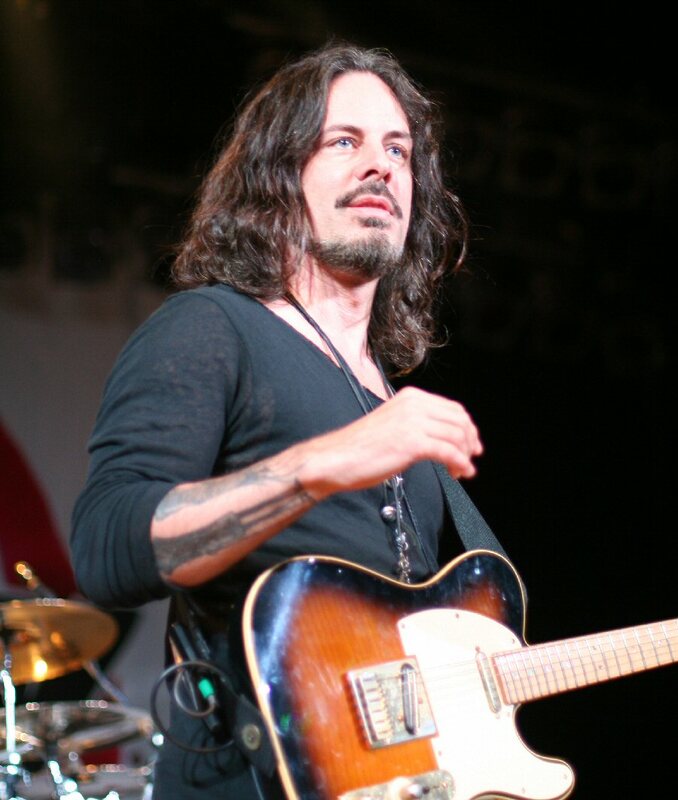 Richie Kotzen is an amazing axe man and vocalist with a wide scope of emotions. The Winery Dogs encouraged fans to clap along to “How Long” but it was so fast yet fluid that it was hard to keep up with the pack. “Time Machine” also moved at a galloping slightly menacing pace. 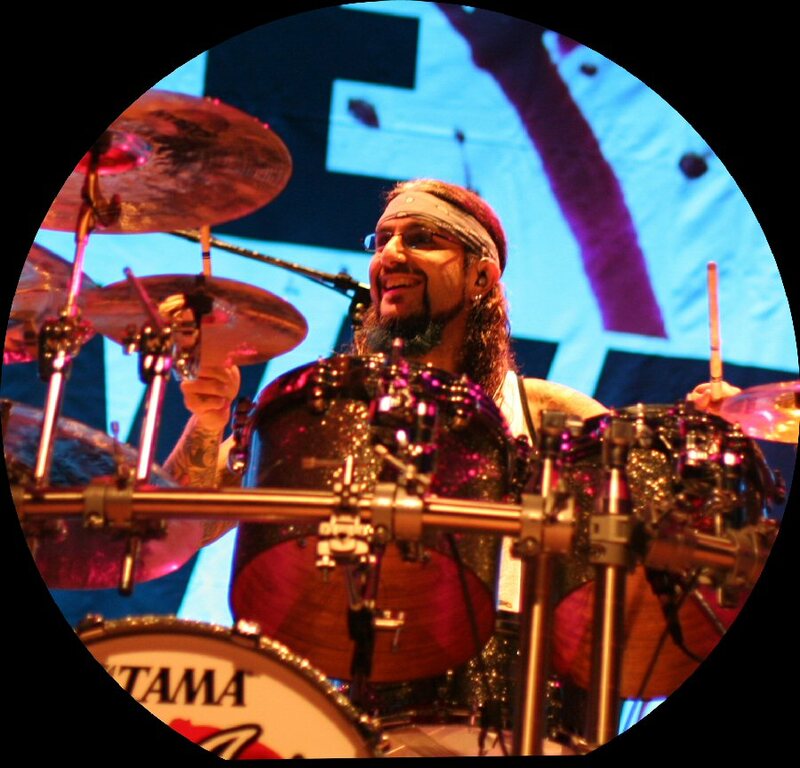 Mike Portnoy is all smiles as The Winery Dogs claim new territory in TN. “What’s up Nashville,” greeted Mike. “Dogs finally in Nashville,” he declared before they trotted into an engaging “Empire”. Richie asked the audience “how y’all doing?” as he took center stage armed with an acoustic to present the slow-simmering “Fire” also from the latest album. This song showcased Kotzen’s expressive singing range as did the soulful “Think It Over” with Portnoy and Sheehan enhancing the mood with backing vocals. Mike’s kit consisted of two bass drums and almost a full circle of cymbals and other drums which he purposefully pounded on during his solo before he came out from behind the kit with a Hello Kitty drum set. Portnoy was comical yet competent on the kid sized instrument before he shifted over to the big kid’s kit playing it from the front before settling back into the saddle. The other two returned for “The Other Side” where Billy playfully tapped Mike’s cymbals between his bold bass lines. Once again Billy Sheehan put on a bass playing clinic for fans in attendance. “Nashville give it up for Mr. Billy Sheehan,” said Mike as Billy stepped up for his solo. Sheehan was a joy to hear and watch as he worked the whole bass. His fingers moved up and down the thick strings in an original and unorthodox manner creating an array of notes and nuances. This Dog is one cool cat. “Not Hopeless” packed a punch with its riveting guitar leads and a message to “pick yourself up, off the floor”. “Thank you folks for the turnout and support,” stated Richie as they sauntered into the home stretch with “Ghost Town”, a heavenly “I’m No Angel” and an electrifying “Elevate”. The encore included the reflective “Regret” that started with Richie on the keys with the guitar slung behind him ready for when the song expanded. They crossed the finish line with a dazzling “Desire.” The well-respected Winery Dogs raised the bar at the Wildhorse Saloon with a set of pedigree hard rock songs. 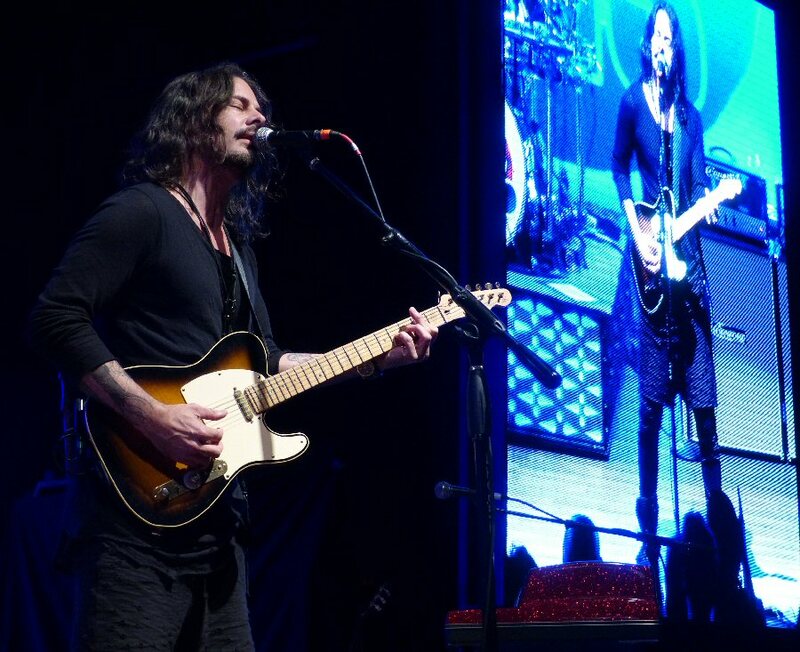 Richie Kotzen is larger than life in Music City. Opening for The Winery Dogs was another power trio. Kicking Harold is Tim David Kelly (guitar/lead singer), Julia Lage (bass/vox) and Michael Odabashian (drums/vox). This alternative hard rock band from LA have been active since the mid-1990’s. Their stage set-up incorporated a gas station and motorcycles which thematically worked well with the high-octane show that they played in Nashville. 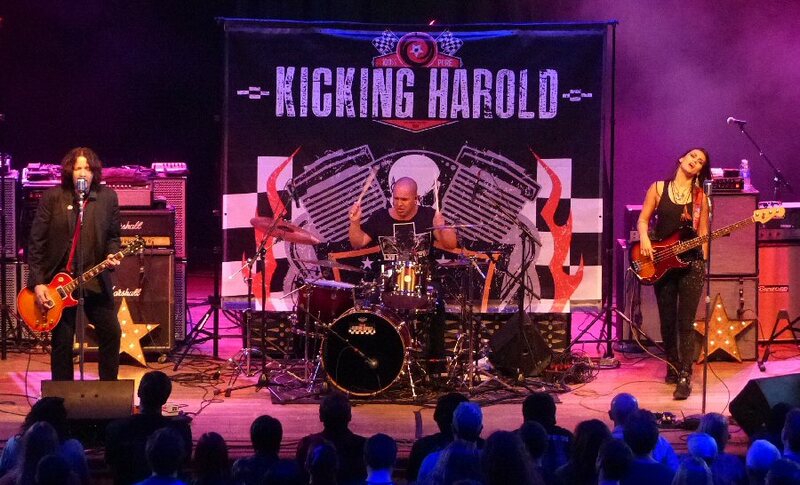 Kicking Harold’s sound was a mix of metal and rock paired with interesting word play. They performed originals along with a creative, heavy version of the classic biker anthem “Born To Be Wild” (Steppenwolf). Kicking Harold’s tune about a muscle car going 100 miles an hour was propelled by a pace that matched the sentiments of the song. “Gasoline” was lit up with flammable riffs and rhythms. Kicking Harold opened and closed with a set of well-maintained renegade rockers. The Winery Dogs continue their Hot Streak in 2015. The Wildhorse Saloon located in the heart of Nashville’s District is a wide-open club with three levels. It has a mix of table seating and general admission areas. The Wildhorse has multiple bars and is known for its barbeque. The Wildhorse Saloon can be rented for events and continues to hosts a wide array of top-shelf acts such as The Winery Dogs. Kicking Harold from Los Angeles opened the show.